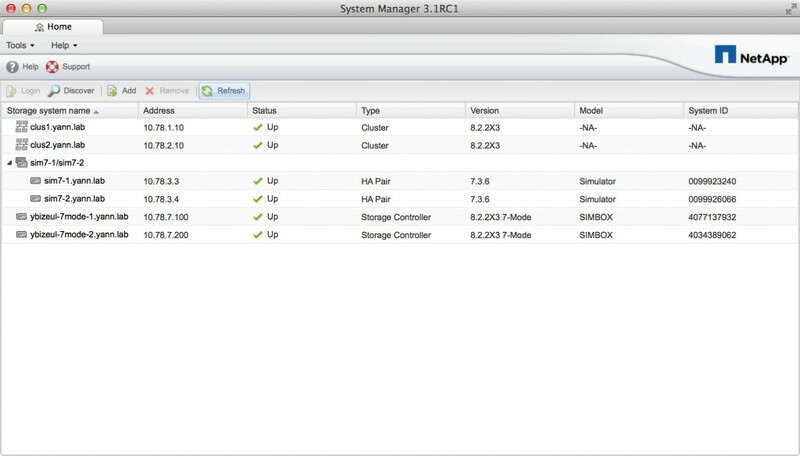 This page is about a Mac version of System Manager, based on the linux version available on NetApp support site. Fix a potential crash when closing a tab with ⌘W. SM 3.1.2 Mac Build 319.8 does not show entries in ListViews for Volumes and Shares…. But Aggregates. LUNs and Disks are shown and other entries are shown… No error messages…. SM 3.1.1 Mac Build 319.5 is working without any problems. Will there be a new build for 3.1.3? Yes that’s an issue that appeared with that version and unfortunately I do not have any fix for that yet. The only workaround I have is you run SM in your browser (File > Open in Browser or ⌘B). Links are dead.. Can you share them again? System Manager cannot be run for an unknown reason. Maybe you should check Java path in preferences ?